My great privilege was to be born into a family whose members already knew God and were followers of Jesus Christ. That gave me a running start toward growing into what God wanted in my life. 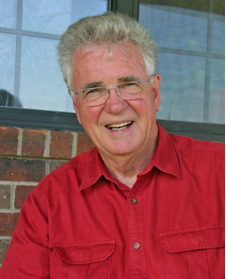 With my father being a Presbyterian pastor for over 40 years, I never was left without knowledge of and hearing about Jesus Christ, and the Providence that God had in our lives. My mother was a Godly woman who modeled the Proverbs 31 woman to me in her daily living. I cannot remember not knowing that we were supposed to believe that God created the universe, all things in and on the earth, and all human kind. We were given what was called free will, which I understood meant we could decide to obey principles of God or not. However, we would be blessed or penalized, depending on our choices. We were to believe that Jesus was a man born of woman, yet supernaturally from God, and that Jesus was God incarnate. Never did I doubt in my mind that eternal privilege (going to heaven) was based on whether I believed that Jesus was Deity. Now, I am the first to confess that my natural sinful nature had its times at pulling me down, and there was my share of backsliding. My life did not honor God as consistently as my upbringing in a Godly family should have produced, as my life wriggled into adulthood, etc. However, I do not recall that my lips ever let pass any words that questioned the existence of God, or that Jesus Christ was His Son, sent to save me, and all humankind who would receive Him. Even in my college and university days, when I was around the first strong currents of non-Christian influence for me, I never abandoned that belief. I just gave in to retreat, and had little to do with those advocating non-belief. One negative decision made for myself in college days was that I did not darken the doors of many churches, and thusly my spiritual development was tepid, to say the least. I remember joining our home church by making a commitment to Jesus Christ on March 18, Palm Sunday, 1951, at the age of 11. My father propounded the questions that required me to profess belief in the Lordship and Deity of Jesus Christ. To the extent that I was capable of understanding at that tender age, it was real to me. That was at Trinity Presbyterian Church, 7000 Lawndale, Houston, Texas, where Dad was the Pastor. It�s now merged with a Hispanic congregation and has the name, San Pablo Trinity Presbyterian Church. Throughout my life, it has been my blessing to be members or associated with 10 churches. We have always been with the same church within a living area, not feeling called to move from church to church. The only time ever we�ve changed churches was when there was a move from one city to another. I did not understand exactly what I was doing, spiritually, when Suzanne and I were married. I now know that our paths crossing and uniting into marriage was foreordained, and that it is the best human thing that has happened to me, through God�s consistently loving Providence. Suzanne�s musical talents, Christian commitment and participation in the Chancel Choir at Canal Street Presbyterian Church in New Orleans, Louisiana, the city in which we met, led us into active participation. Our marriage was in that church, conducted 105 days after our meeting, by my Presbyterian father, coming over from Texas, and the Pastor of CSPC, the Rev. Dr. Robert A. Pitman, a Godly minister whose friendship even today we cherish and continue, as he now is in his eighties, travels the world for Christian missions and resides in California. My graduation from the University of Texas with a major in Personnel Management & Industrial Relations was in June 1962. Suzanne�s graduation was in 1961 Mississippi Southern University. Today, it�s named the University of Southern Mississippi. Her major was Biology. She, too, had early family Christian experience and commitment. Though I had grown up on a family where giving 10% of whatever we earned went to God�s work � the church. It was about our second year of marriage that Suzanne and I agreed between us that our commitment would always be to give at least 10% or our income to what we understood was God�s purposes. It later years, that commitment evolved into our practice of giving 10% to the local church of which we were members, and that over-and-above that would be for any other Christian or good causes we felt a motivation to support. In our golden years, when living expenses have moderated, our giving has hovered around 15% to 20%, and even, through an interesting set of circumstances in 2016, went to about 30%. It was such a blessing to do. We lived in New Orleans 1962-1972, and all three of our Presbyterian children (Taylor, Tiffany & Todd) were born in a Jewish hospital, delivered by our dear friend, a Roman Catholic doctor. During a week of spiritual renewal at our church, a contingent of lay Christians came from across the South to share their testimonies. One couple was from Lubbock, Texas, Jack and Shelly Hall. It was in a meeting in our home after one of the services that we were with them and my brother-in-law, who was a Presbyterian Pastor, the Rev. Dr. Andrew A. Jumper, that they taught us more about the Holy Spirit, and they prayed for our filling, with speaking in tongues. The Hall couple were members of an Episcopal Church. They knew Andy through Fellowship of Christian Businessman in Lubbock. That was in October 1965. My employment had been a Sales Representative for one of the leading companies in the computer industry. Suzanne was a professional medical technologist in a hospital. Our volunteer work in the senior high youth group at our church, through a series of circumstances, evolved into an invitation to move to another city and assume a full-time youth ministry position on a church staff. Meanwhile, my blessing including the local church selecting me to serve as a Deacon, then an Elder, then the Clerk of the Session (the lay administrative manager of the management of the Elders). The occasion to consider moving into ministry out of town was unexpected by us, as we never considered doing such. Of course, the compensation plan of a church youth minister pales somewhat from my computer industry work. The relatively high rate of income Suzanne and I enjoyed had led us to feel comfortable maintaining what was more debt that we should have assumed. Our initial response was to pray about whether God was calling us to move. Meanwhile, inspection of the compensation package revealed that the total take-home portion of it was approximately what the payments were over the next year just on our debts! No money left just to live and eat! Suddenly, we realized that our debts had imprisoned us from being prepared accept a call into ministry! Though we had not talked about going into ministry, this whole event initiated our consideration of such. Then, Romans 13:8, �Owe no man anything, but to love one another�� sank into our spirits! The purpose of what whole experience of a job offer, we believed, was to teach us to be out of debt! We graciously declined the ministry job offer, and immediately began working on our mountain of debt. For example, we had a high-priced automobile with large monthly payments. We sold it when it was just about five months old, and began walking and riding on the New Orleans Public Service bus & street car system. We lived within a 20-minute bus ride from my office, working then in a positon not requiring an automobile. That�s a fun pattern when you have two pre-school children in your family! We got out of debt by 1967. We were to do volunteer ministry with our church�s outreach to the New Orleans inner-city. We even bought a 101-year old home down there in 1967 with another couple, making it into a duplex. In 1969, I chose to leave the work in the computer industry. In 1970, my professional life in administration and non-profit organization began at Trinity Christian Community in New Orleans, a ministry originated out of our home church, Canal Street Presbyterian Church, and the Associate Pastor there, the Rev. Mr. William J. Brown. We believe that was the Christian calling intended for us all along. Little did we realize such work would continue until retirement in 2004. Trinity Christian Community was a ministry to the down-and-out on the streets of what was known as the Irish Channel. The people to whom we ministered were mostly African American teenagers and their families. The Anglo adult people to whom we ministered often were associated with the ways of crime. They interfaced regularly with the criminal justice system. There were five bars that never closed (24 hours/day) within a block of our house, and during the five years we resided there, we witnessed five instances of handgun fire. The spiritual growth of our family took off, as the challenges of a crime-torn inner city in New Orleans where we lived tested us in many ways. A few times, we took in temporary residents from among the down-and-outers. That can be a learning challenge! We continued to learn more of what God had for us and continue even today learning about what He has for us. We have grown over the years, moving from New Orleans to Saint Louis 1972-82, being members of the Central Presbyterian Church there. Service there also included being a Deacon, Elder, then a Clerk of Session. Then we were called to Dallas. All these years were working administratively for Christian organizations, the last 22 years being a large church in Dallas, Highland Park Presbyterian. It was at one time the largest church in that denomination, being as large as about 7,200 at one time. It was a church experience unique to us at the time. Its location was in the Park Cities of Dallas (Highland Park and University Park), which were the residential centers of not only the wealth of Dallas, but much of the wealth of Texas. When Forbes Magazine began publishing its annual list of who they evaluated as the 400 wealthiest individuals in America, that first issue in the fall of 1982 was during my first year on staff at that church. The issue contained an article about our church and an interview with our pastor, the Rev. Dr. B. Clayton Bell, a brother-in-law of Evangelist Billy Graham. Clayton was the man who recruited me to Dallas. The apparent interest of the magazine was the fact that six of the top 14 wealthy people on their original list of 400 wealthiest Americans were members of our church! After 22 years of service in Dallas, my choice was to retire from employed connections. That was November 1, 2004. My retirement has been from employment, but not from work! We call it �Golden Age.� It seems my work is full time. We live in Aurora, Wise County, Texas and are members of Eagle Mountain International Church, where Love is King, and we continue to grow spiritually. God has called us to be a continuing part of that Body of Christ. The pastors there see their calling for that church to be a revival center of the world. We did make use of debt on a few occasions earlier for large items of cars or houses, but such always was modest in relation to our income. We are pleased to realize that we�ve never had any debt this century (since 2000). We own free and clear our 10-acre rural home, two still new automobiles, and are financially beholding to nobody! Our only financial duty, besides local household utilities, is our Christian privilege to give to God�s purposes as much as we can. Suzanne and I cherish our mornings together when we read and pray for direction in each day. In 1986, we began reading through the entire Bible every year, and continue to do so today, this being our 33rd year. We read out loud to each other. We keep learning new things as God blesses us with renewed revelation. God has made opportunities for Suzanne and me to participate in numerous circles in our communities where we�ve lived, circles in community service, political activity and being self-appointed ambassadors to reflect friendly and welcoming venues wherever we lived. We�ve done things like organizing a National Day of Prayer observance at our Wise County Courthouse. My personal hobby has been learning about history and about my family�s ancestral heritage. I�ve sought to identify my ancestors who were Christians. The spiritual understandings Suzanne and I have had in this most marvelous marriage partnership has blessed us in the blessings of God. 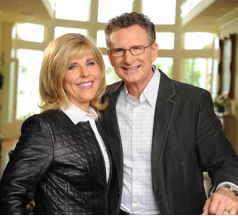 We have clung to the Biblical principles represented in quotes from our Pastor, George Pearsons, �Your prosperity is on the other side of your obedient,� and �Pride will set you up for a fall, but humility will set you up for honor.� Pastors George and Terri are our Senior Pastors at Eagle Mountain International Church. 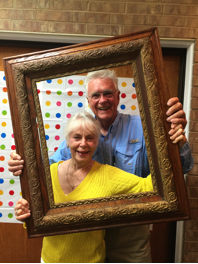 We learn much from them and appreciate the love for us and the congregation members that they regularly demonstrate. The blessing and favor of God has been manifested in so many ways in our lives that they are beyond counting! We rejoice in being followers of Jesus Christ and worshipping regularly God the Father, being strengthened by the Holy Spirit. Praise be to God!